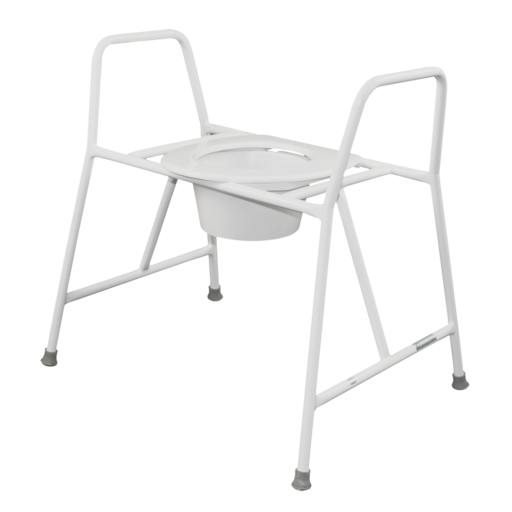 The Bariatric Over Toilet Frame offers a wider over toilet frame suited for individuals that require more space between the armrest. 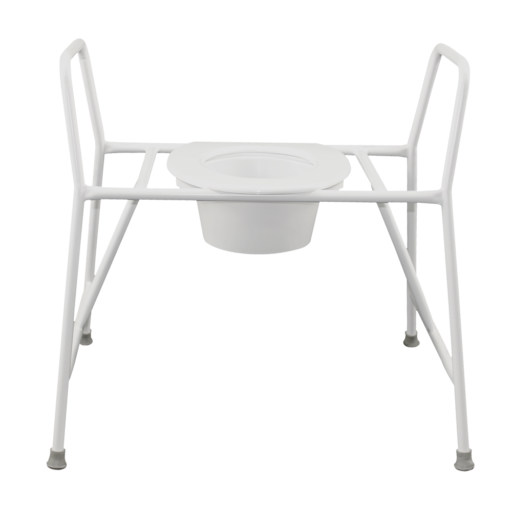 This frame offers a higher safe weight load and a wider seating area for safety and comfort of the individual using it. Strong durable frame-Re-enforced frame with high Safe Weight Load of 300kg. 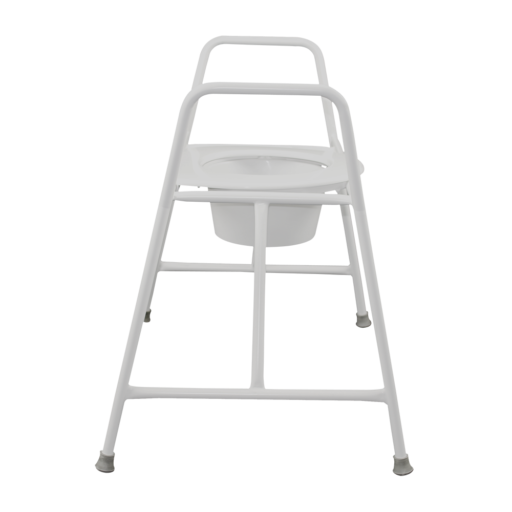 Slightly splayed legs- to offer a more stable support, ensuring the users’ safety. High Support Arms- To help the user with sitting on the seat and getting off of it.